a) to aid digestion ... it is said to be associated with the ginger .. and can be used in much the same way, to counteract digestive problems, such as : nausea, acidity, bloating, gas, heartburn, loss of appetite, constipation etc. b) for detoxification ... helps the body to eliminate waste through the kidneys. c) to resolve halitosis ...just by chewing it after meals, or whenever ... it will help to freshen one's breath. d) act as a diuretic ... helps to clean out the urinary tract, bladder & kidneys, removing waste, salt, excess water, toxins and combating infections, too. e) to calm depression ... although this claim was never been proven by formal studies, however ... it has been widely use in ayurvedic medicine (cardamon tea) and was claimed to be a useful aid in combating depression. f) for other oral health purposes ... besides resolving bad breath, it has also worked well in treating mouth ulcers, including infections of the mouth & throat. g) treatment of cold and flu ... helps to prevent and relieve cold & flu, including problems of bronchitis and coughs. 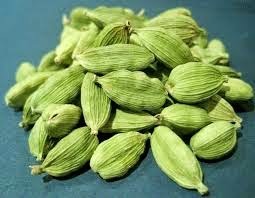 h) in cancer treatment ... some studies have shown positive results on animals that cardamom does protects against, inhibits growth and even kills certain types of cancer cells. 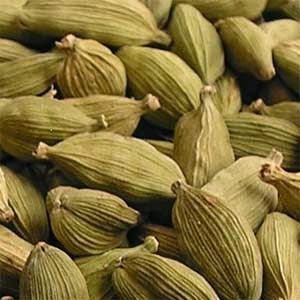 i) in controlling blood pressure ... because of its diuretic property and rich fibre content, cardamom can significantly lower blood pressure. j) in preventing blood clots ... works by preventing platelet aggregation and the sticking to the artery walls. 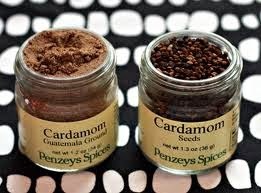 k) as an antioxidant ... cardamon contains a vast range of vitamins, phytonutrients and essential oils. Consequently, it is useful as an antioxidant, in removing free radicals and preventing cellular aging too. i) as a pathogens ... the complex quality of its essential oils, is useful in inhibiting the growth of viruses, bacteria, fungus and mold. j) as an anti-inflammatory ... it works well to limit pain and swelling, especially in mucus membranes, the mouth and throat. k) to resolve hiccups ... as an anti-spasmodic, it helps to get rid of hiccups, including other involuntary muscle spasms, such as stomach and intestinal cramps. l) as a aphrodisiac ... have been commonly used in traditional medicine, as a great aid to resolve erectile dysfunction and impotence. 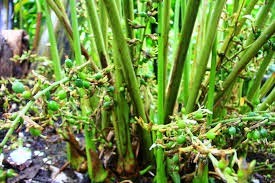 Because of its abundant properties and contents, cardamon have been commercially produced and fetching a high price in the world markets today. Besides, been used as a spice and medicinal value ... today, we find cardamon has also been used in bread and other confectionary items, chocolates bars, cookies, body oil, soap, shampoo and tea too.